Every maker has a story. 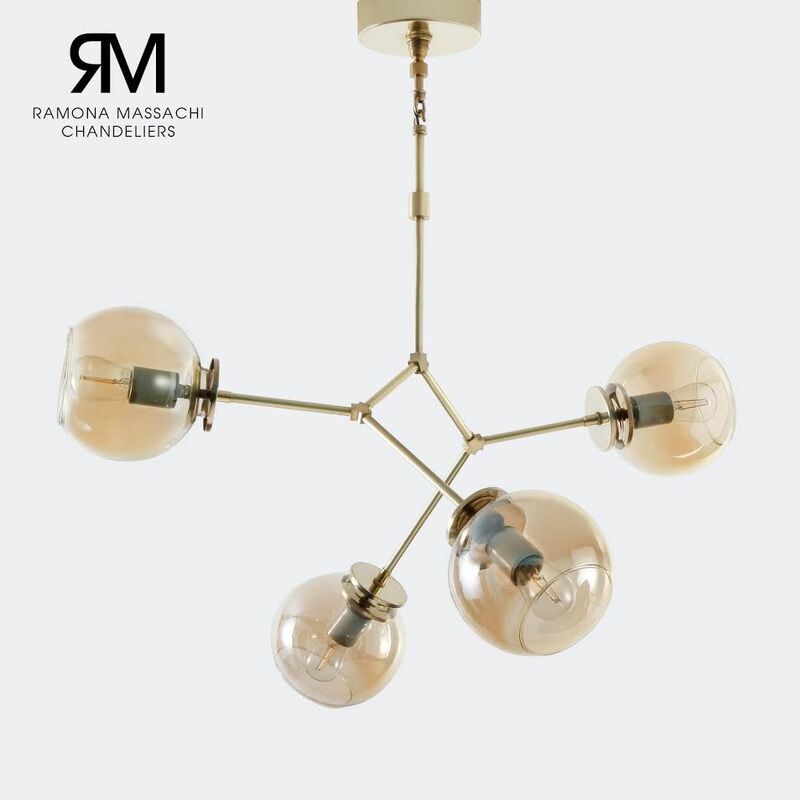 Be a part of Ramona Massachi Chandeliers's story by placing an order, leaving a review, and seeing your review appear here. 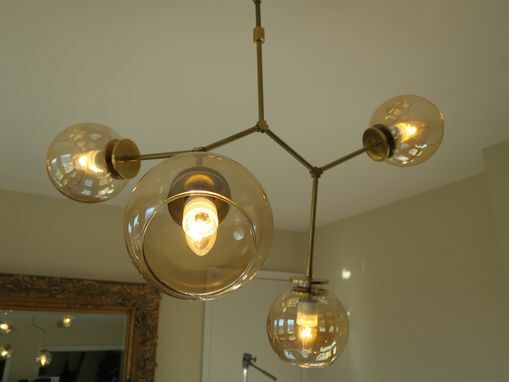 This chandelier consists of four modern glass globes. 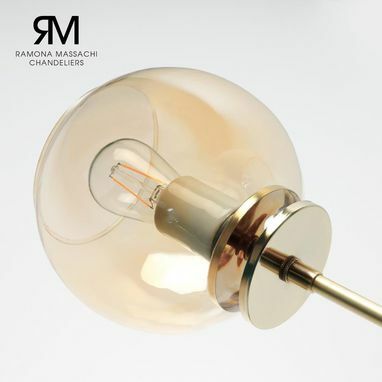 All brass parts, includes champagne finished glass. With a softer impact for a room that requires an intimate touch. 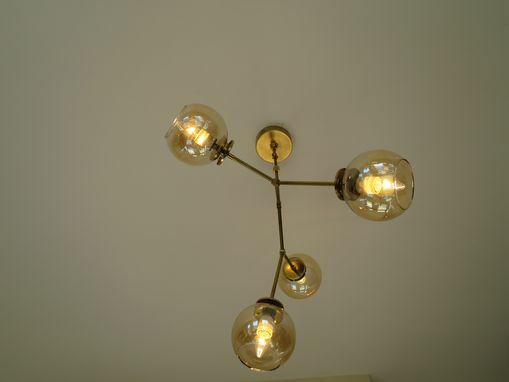 They look slightly different in every photo to show how adjustable they are. 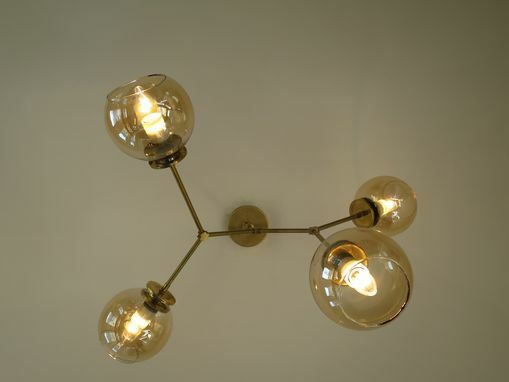 Original Brass Metal Finish, and Clear or Champagne Glass comes with no additional cost. All hand made in the USA. 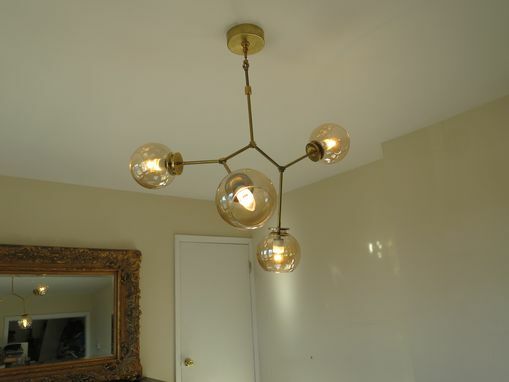 Chandeliers can be custom ordered to specific dimensions of height, width and length. Metal Plating takes an additional four weeks.